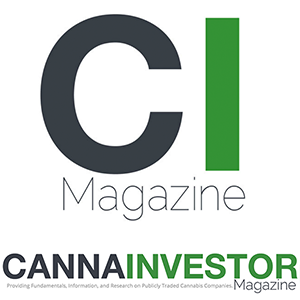 CANNAINVESTOR Magazine Has Been Launched! SCOTTSDALE, AZ / MJBizwire / May 26, 2016 — (OTC Pink: NCAP), announced it will present online on the CANNAINVESTOR Webcast (www.cannawebcast.com) on Thursday, May 26, 2016 at 3:00 PM EDT – 3:45 PM EDT. The CANNAINVESTOR Webcast will include presentations from both privately-held and publicly-traded cannabis companies and industry professionals. Northsight Capital, Inc. presentation will be 30-minutes long and followed by 15-minutes of Q&A. The CANNAINVESTOR Webcast is a great opportunity for its online audience to research industry companies without taking time-off from work, paying registration fees and incurring travel-related expenses. “The CANNAINVESTOR Webcast is an online interactive platform that will assist us in increasing our awareness and exposure, while giving us an opportunity to give an update on our recent joint venture and an overview of our different business segments,” states John Hollister, CEO of Northsight Capital, Inc. This webinar meets 8 times.